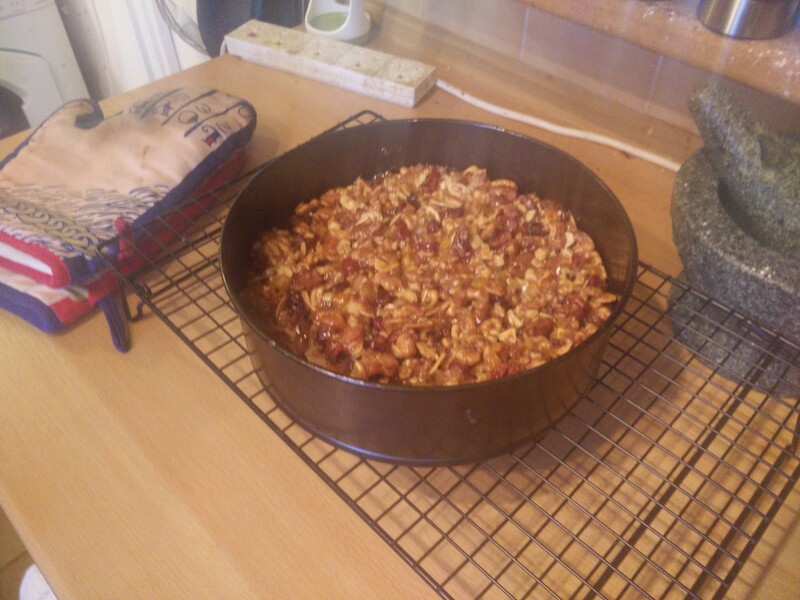 We’ve got lots of dried fruit and nuts left over from the Christmas cakes Soph has made. Cakes that will not be ready until next week. So to tide us over I’m using them up to make a panforte. 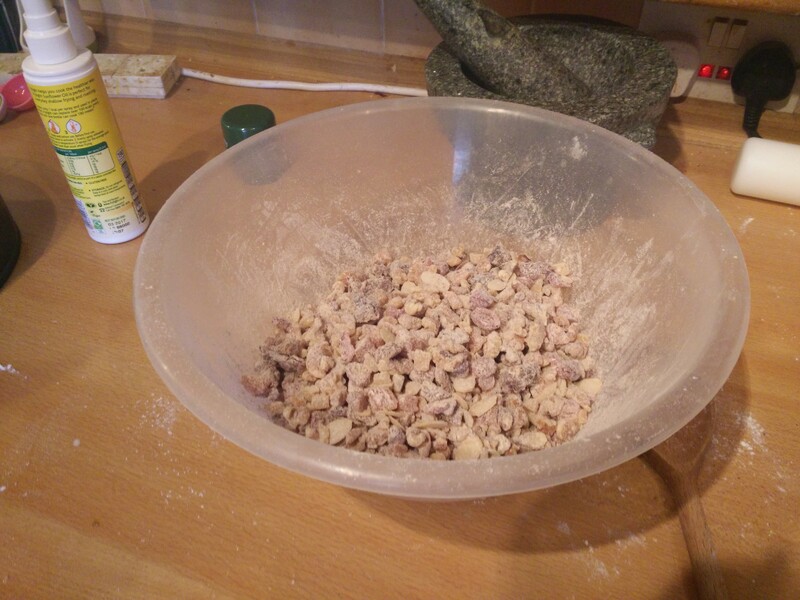 This is dead easy, just mis chopped fruit and nuts with a little flour an spices. 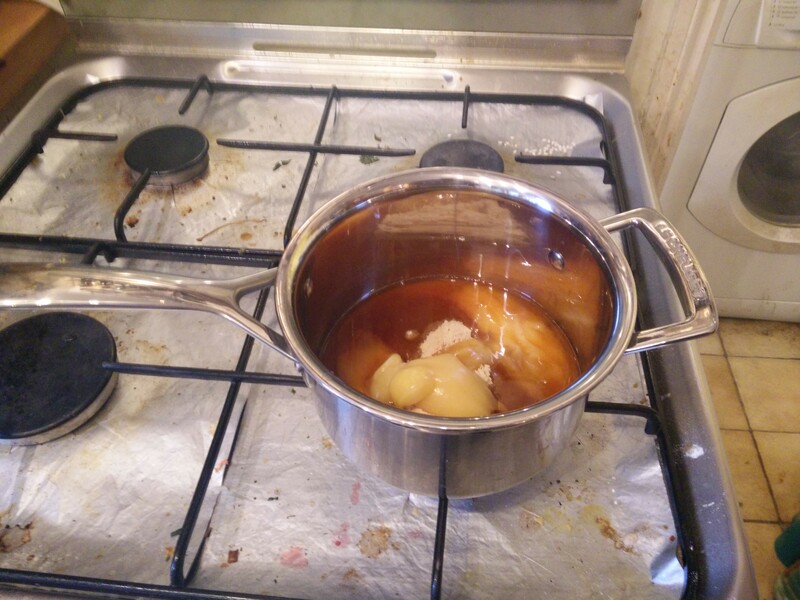 Melt honey, sugar and Marsala on the hob. 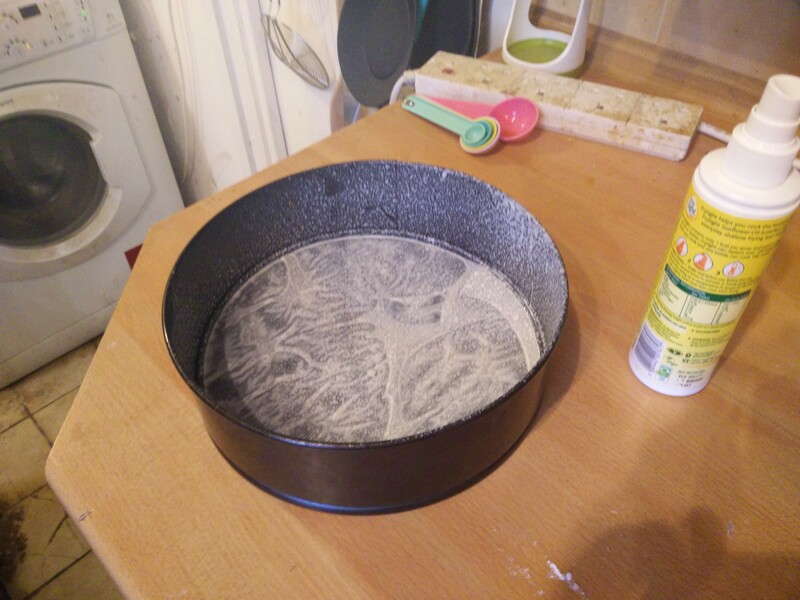 Then mix together wet and dry and pop in the tin. Unfortunately I forgot to take a picture of this step. 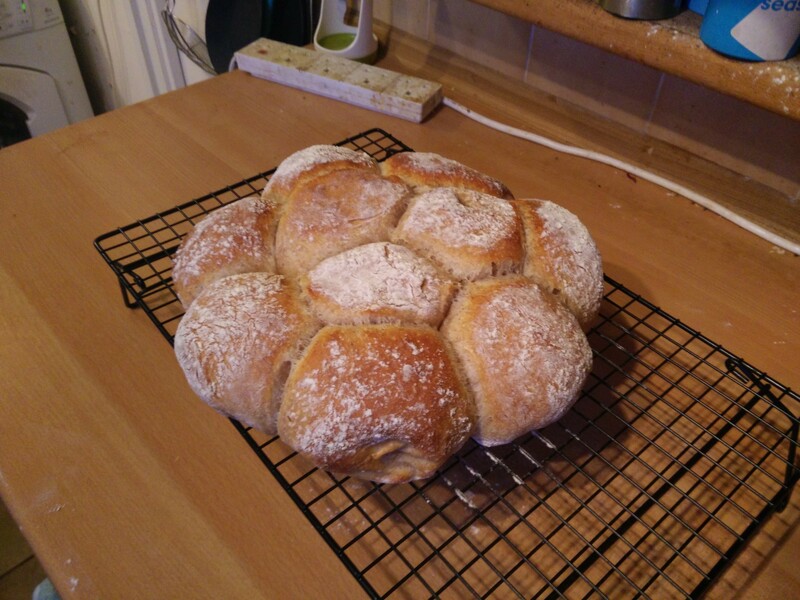 So instead why not admire some pull-apart sourdough bread rolls I made yesterday! Back to the panforte, it goes in a 140C fan oven for 35mins, then cools in the tin for 10 minutes. Well it’s going to have to stay on the parchment paper or it’ll fall apart. And we’ll probably have to eat it with a spoon, rather than have a slice of it. 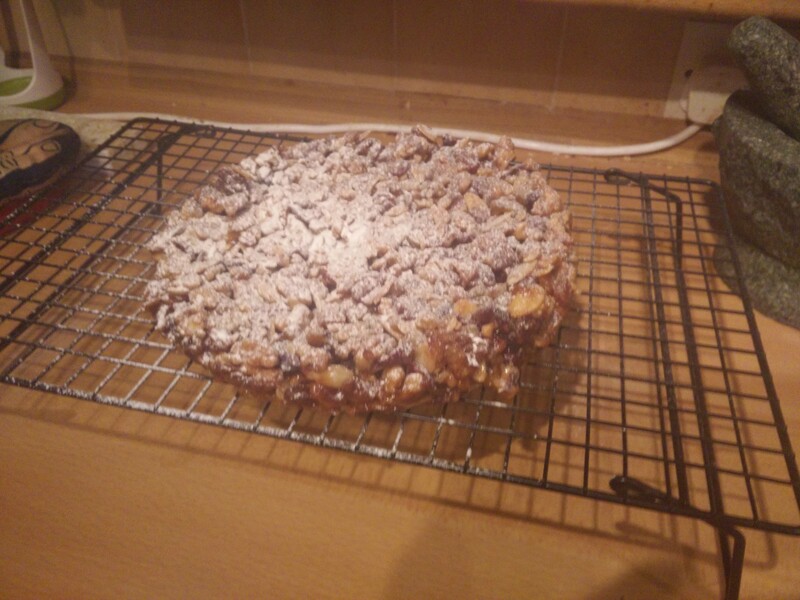 So continuing to follow the recipe, despite no longer being convinced it’s a very good recipe, it gets a dusting of icing sugar. The ingredients are all tasty so just take a slice (or a spoonful) put in a bowl and add custard or yoghurt. Delicious. Homemade items can usually be adapted and used.